When I was a child, one of my favorite summer activities was to go swimming - whether it was in a pool, lake, or ocean, it didn't matter. Still, to this day, I love jumping into the water here and there when it's hot out, or if I've just had a long day in particular. There aren't many ways that are better to blow off some steam and relax! Not only that, but my kids love it as well, as I'm sure yours do, too. However, as with most activities, especially those like swimming, there are always safety precautions that need to be considered. It's important to teach your children how to be safe in and around the water, so here are 13 ways to anchor down water safety with the kids. Don't Run Around the Pool: If a child runs on the wet area around the pool, they could slip and there could be a serious injury as a result. It's best to always walk around the pool area. Always Have a First-Aid Kit Handy: In the event of any accident, you always want to be prepared and have the necessary supplies to help aid in any situation. Keep an Eye on the Kids: Put the smartphone or laptop down, and be sure to keep a good watch on the kids at all times. Anything can happen, so you always want to be ready. The Importance of Swimming Lessons: From an early age, be sure to take your children to receive swimming lessons. The more they know, the better, and it can help to save their life. Enforce the Buddy System: Never let your child swim alone, and stress to them the importance of always having someone else in the pool with them. In the event that something happens, you'll always want someone there who can assist with a situation. Don't Rely on Others: If you go to a public pool or ocean, for example, don't always rely on those around you. While there may be lifeguards on duty, they have many different people to watch and potentially keep safe, so always keep an eye on your own children! Post a CPR Guide: Whether it's your own pool or another pool, it's best to make sure that there's a CPR guide posted somewhere in case of an emergency. Floatation Devices Aren't Lifeguards: Just because your child is wearing a life jacket or has floatation devices to rely on doesn't mean everything is completely fine. It can't be stressed enough: Keep a close eye on your kids when they're in the water. Have Rescue Equipment Available: In the event of an emergency, aside from calling 911, it's important to have rescue equipment available. If there's a bad situation going on, every second counts, and you need to help make them matter. Stay Within Your Limits: Kids can be daredevils, so it's important to stress to them to stay within their limits. Going over to the deeper end of the pool may sound tempting, but it's probably not a good idea, depending on their age. 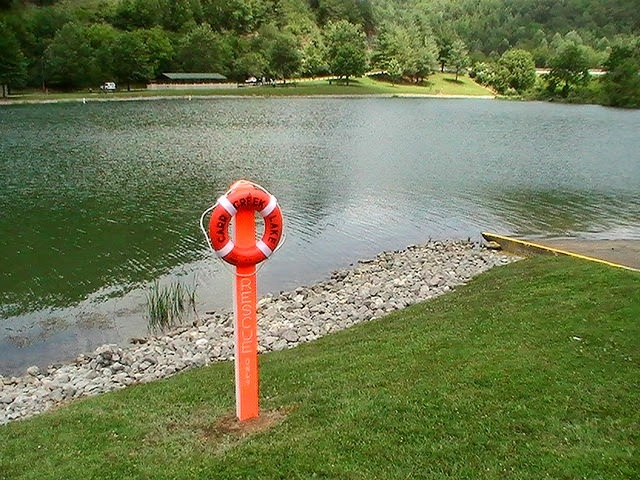 Have a Life Jacket: If you're out swimming in the lake or ocean, it's always best to have a life vest on you. 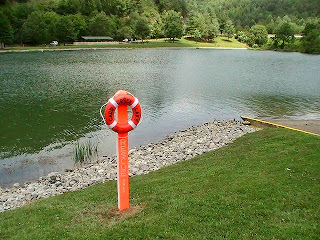 The water can be more powerful than one might think, and a life jacket can do just that - save a life. Be Courteous of Others: Kids will want to horse around, but it's vital to teach them the importance of being kind to others and not pushing others in the pool! Always Be Careful: Most importantly, it's best to stress the importance of water safety by letting others know that you can't only drown in a pool or lake. It can also happen in bathtubs, for example, so it's best to always be as safe as possible! Most importantly, just remember to have fun as a family. What have you taught your children about when it comes to water safety, and which of these tips do you find to be especially helpful? We want to hear from you!